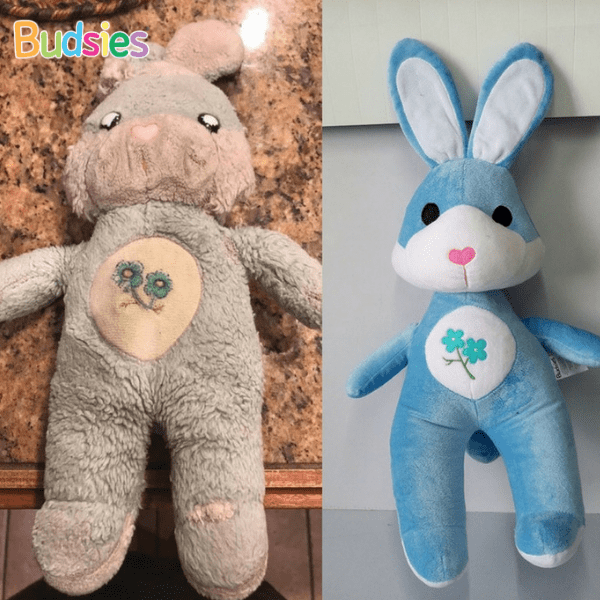 Make a 3D custom replacement plushie of your favorite old or damaged stuffed animal! Just send us the picture and we'll turn it into a custom, replacement plushie. Detailed, down to the unique features & aesthetic fashion styles. Do you have a lost or damaged stuffed animal that has sentimental value? No worries, we got you covered. 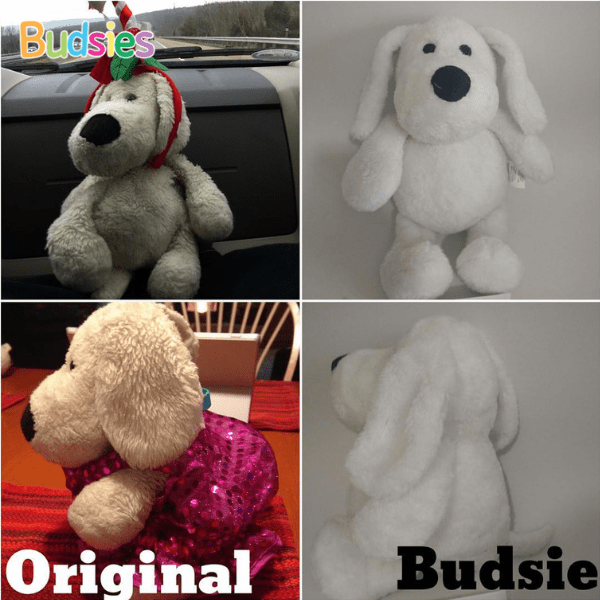 Budsies plush replacement is a great way to capture your old stuffed animals likeness. We will pay attention to all the details, and make sure to recreate your stuffed animal as close as possible. Did you know that we can help recreate your old toys? 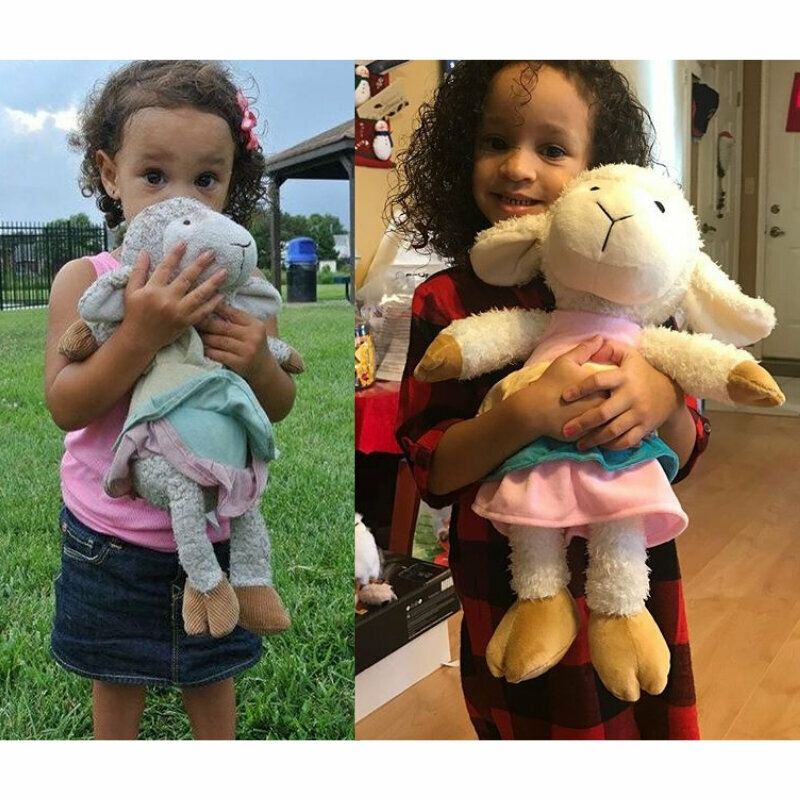 This stuffed dog was stolen from her family's car while they were on vacation. This doggie had been through 5 surgeries with a family member as well as many vacations, including a month of living abroad in Taiwan and Indonesia. We were so happy to help bring this pup back to her family! Do you have a stuffed animal that is dirty or damaged that you want to bring back to life? 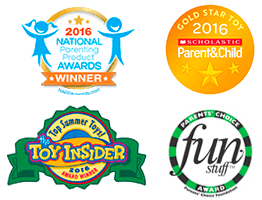 Does your child have a dirty or damaged stuffed animal? We know how meaningful these little plush friends can be, which is why we are happy to bring them back for you. These plush replacements make for such great gifts. Giving someone a thoughtful, meaningful gift that makes them smile is such a great feeling. And we've come to realize that the more personal and outside the box - the better the reaction! It shows your friends and family that you appreciate who they are as individuals.